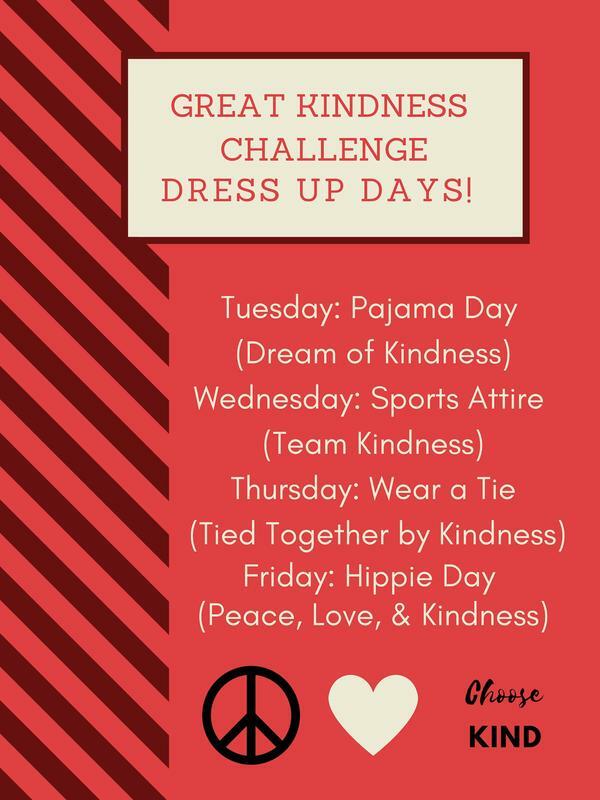 It is Great Kindness Week at CMS and there is alot going on! 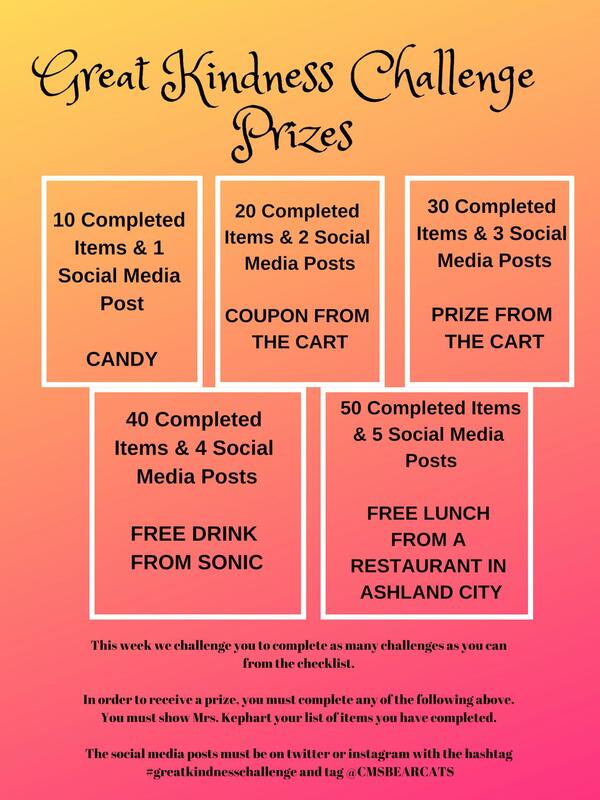 CMS is participating in the Great Kindness challenge this week. There are dress up spirit days daily along with plenty of activities for students to participate in. To top it off, we are going to be making a donation to Dolly Parton's Imagination Library. Grade levels will be asked to donate their spare change in a competition to see who can donate the most. The grade level at the end of the week with the most donations will win a grade level party!